I wrote this piece for the Dallas Morning News. It was published on Feb. 15, 2004. 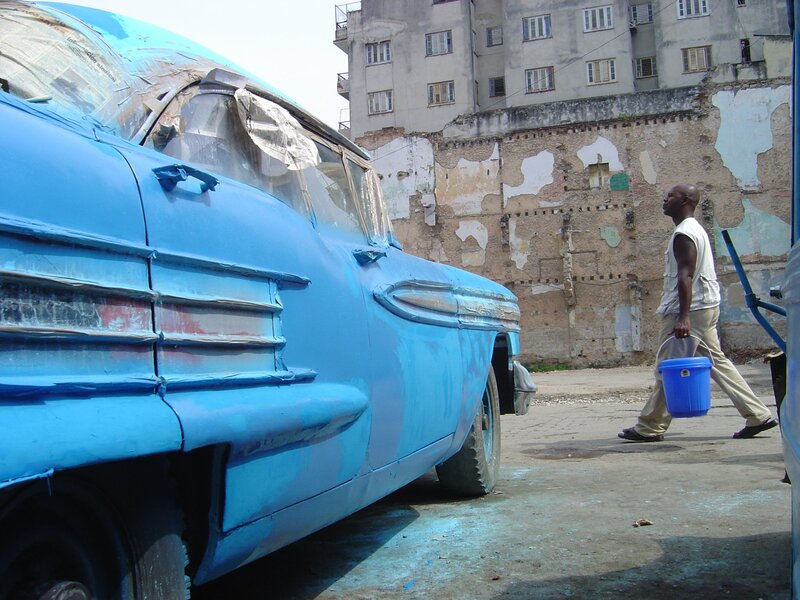 Rafael Díaz is broke and beleaguered, and his vintage 1959 Buick is sitting somewhere on the ocean floor. But he can’t help but smile when describing how he turned his beloved car into a boat and chugged through shark-infested waters while trying to reach America. His incredible odyssey earlier this month made him a hero to many and triggered a fresh debate on Cuban migration as some criticized U.S. authorities for refusing to let Mr. Díaz and other intrepid travelers into the country. “With their kind of initiative, these are the people we need in the United States,” said Joe García, head of the Cuban American National Foundation, an influential lobbying group in Miami. In all, 11 people were aboard the craft when it left Cuba under the cover of darkness on Feb. 2. The U.S. Coast Guard intercepted the vessel the next day and took the passengers aboard the Venturous, a 210-foot cutter. Three of the would-be migrants were eventually taken to the U.S. Naval Base at Guantánamo in eastern Cuba for possible entry into the United States. Eight others – Mr. Díaz included – were sent back to Cuba by the Coast Guard on Feb. 10. Cuban officials complain that many of their countrymen risk their lives at sea because of a U.S. law that virtually guarantees residency to Cuban migrants as long as they reach American soil. No other migrants illegally traveling to the United States receive the same preferential treatment. Bush administration officials say the Cuban government – and not immigration policy – is to blame. “Until Cuba is free, people will risk their lives to come to these shores of freedom,” Treasury Secretary John Snow said in Miami on Monday. U.S. officials are reviewing immigration policy toward Cuba. Any recommendations are expected to be included in a broader report to be delivered to President Bush by May 1. It’s a thorny debate. Cubans should not receive special treatment, said Alex Cruz, spokesman for U.S. Rep. Ileana Ros-Lehtinen, R-Fla., a prominent anti-Castro critic. At the same time, something should be done to help ordinary Cubans, he said. Cuban officials bristle at such talk. They say they respect human rights and ask U.S. officials and others to mind their own business. Mr. Díaz, 39, said he just wanted out but wasn’t sure how to do it. Then last summer he and some friends were sitting around in the back yard, joking about converting his old Buick into a boat. The idea quickly turned into a secret project. 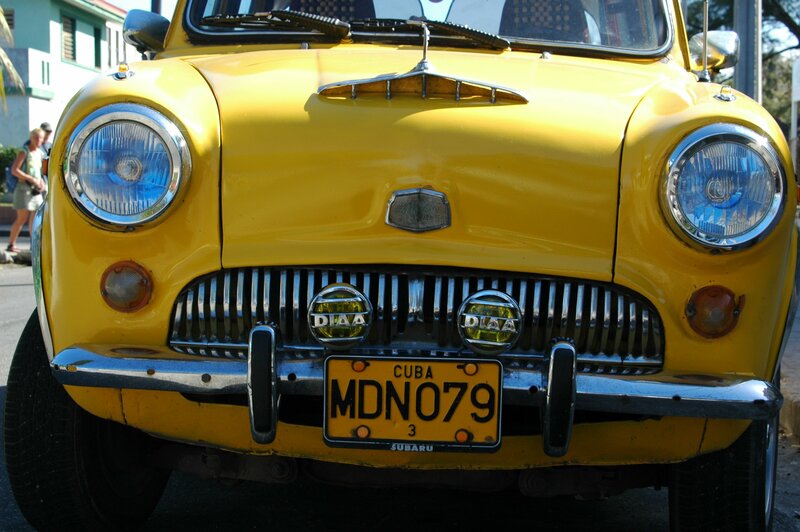 Mr. Díaz hid out in his garage in Diezmero, a working-class Havana suburb, and worked on his Buick. “He’d spend 12, 14, even 16 hours a day working on that car,” said his wife, Nivia Valdés Galvéz, 39. A similar contraption was unveiled in July when some of Mr. Díaz’s neighbors attached 55-gallon barrels to a 1951 Chevrolet truck, hooked the drive shaft to a propeller and made their way north. The Coast Guard caught them as they approached South Florida. Some Cuban exiles pressured the U.S. government to let the “truckonauts,” as they called them, enter the country. But all 12 were returned to the island and several say Cuban authorities have since harassed them, raided their homes and confiscated some of their belongings. Four of the returnees – Marcial Basanta López, 35, a former martial arts champion; Luis Grass Rodríguez, 35, a truck driver; his wife, Isora Hernández; and their son, Ángel Luis, 4 – joined Mr. Díaz in this latest quest. Mr. Grass told U.S. authorities that he and his family members would face political persecution if sent back to Cuba. Authorities agreed to take them to Guantánamo for further investigation. Relatives say they are optimistic that the three will be admitted to the United States within the next few months. “My brother didn’t want to continue living in Cuba. He didn’t feel free,” said Valentina Grass, 39, Luis Grass’ sister. In 1994, Cuban authorities told people they were free to leave the country, and tens of thousands boarded rafts and boats for South Florida. Rafael Díaz tried to make the trip in a retooled 1947 Buick but had to turn back. “The car had electrical problems, a short circuit,” he said. And by the time he fixed it, the Cuban government had ended the mass exodus. His efforts to leave the country that time brought him trouble with state security agents, who called him “an anti-social element, a criminal,” his wife said. She is a doctor. And under Cuban law, she must wait an additional five years before leaving the country even if the United States gives her a visa. The law is meant to ensure that doctors and other professionals pay their debt to society for having received free schooling, Cuban officials say. She believes she should be allowed to leave whenever she wants. Her husband agrees and vows to keep trying to reach American soil. He won’t say how but admits he has another vehicle – a green, 1959 Chevrolet truck – hidden where state security agents haven’t been able to find it. But in trying to leave again, he faces tough odds. He spent all his money on his last trip and sold off many of his family’s possessions, including his children’s toys, a bike, Atari video equipment and a videocassette recorder – considered a luxury in Cuba. State-run media in Cuba has not reported Mr. Díaz’s plight, but many people have learned about it. “They’re risking their lives, plus it’s against the law,” she said. Still, the travelers have plenty of followers in their neighborhood. And when the police on Feb. 11 threatened to seize a truck belonging to one resident, more than 100 neighbors staged an unusual protest, and the officers backed off. The Coast Guard destroyed the 1959 Buick, calling it a hazard to other vessels. But it wasn’t easy, Mr. Díaz said.